I had two bananas left in my fruit basket, this morning, and two options: make banana-blueberry-smoothie or turn them info muffins for breakfast. I decided to make muffins and they’re already halfway gone. Today is such a pleasant day with lots of sunshine. What about you? what are you up to on a Sunday morning. Enjoy the rest of the day! 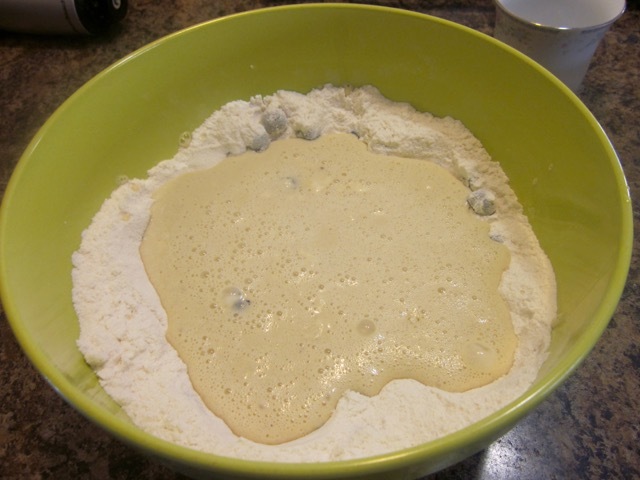 Sift the flour, baking powder and sugar into a bowl. Stir in blueberries and make a well in the centre. 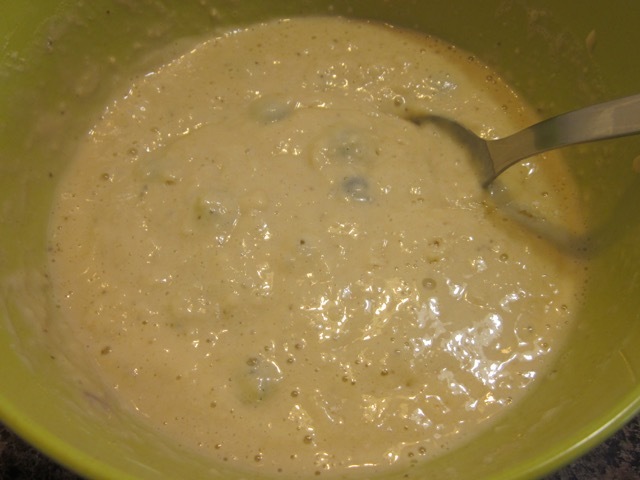 In a separate bowl, using a stick blender, blend the butter, buttermilk, eggs, vanilla essence and bananas. Spoon the batter into prepared muffin tins, top with extra blueberries and bake 20-25 minutes or until golden. Preheat the oven to 375ºF (190ºC); 360ºF (180ºC) convection, ten minutes before using. Line 2 muffin tins with 18 medium paper cases. Sift the flour, baking powder and sugar into a bowl. Stir in blueberries and make a well in the centre. In a separate bowl, using a stick blender, blend the butter, buttermilk, eggs, vanilla essence and bananas. 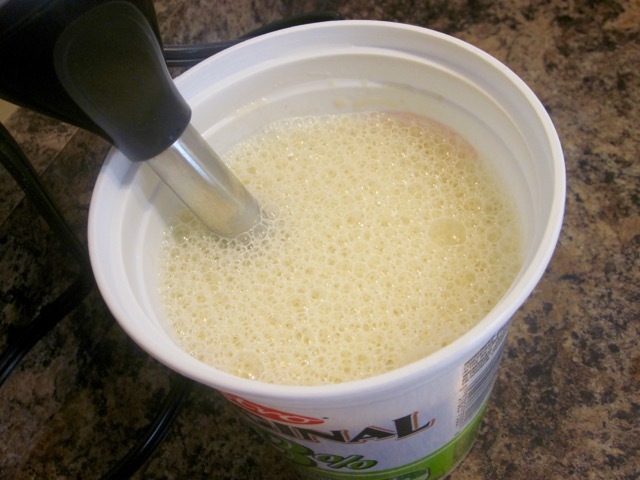 Pour the mixture in the well and mix gently until just combined. 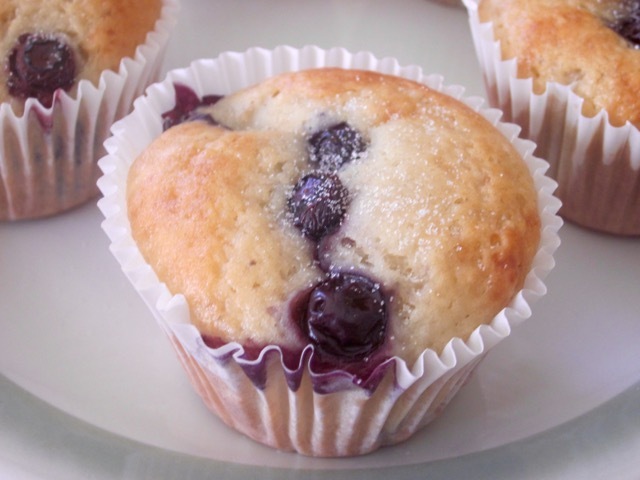 Spoon the batter into prepared muffin tins, top with extra blueberries and bake 20-25 minutes or until golden. Transfer muffins to cooling rack. Serve warm or cold dusted with some sugar. I baked the muffins in a convection oven at 360ºF (180ºC) for twenty minutes. These muffins are just beautiful and sound delicious too! Happy Baking,Sonal. Thanks for visiting! Then perhaps I should have used one banana for a smoothie and the other for the muffins. We have smoothies at least five mornings a week. I agree with you totally! can you say BREAKFAST? Yum! I make a cake that tastes like muffins to me. I imagined this! Thank you for sharing! Awesome pic’s to, they make me hungry(er)! They were really nice. I’m planning to make them again, soon!!! Sadly I don’t have any bananas but I sure do have blueberries galore in my freezer needing something done with them! This looks so tasty! I wonder if I could substitute applesauce for the bananas? Perhaps I’ll give it a try! The photos of your muffins are so clear I feel like I could just reach in and grab one…..or six! How has your weekend been? I think you can sub bananas with apples. I ate 3 of these muffins as soon as I pulled them out of the oven. My son ate six LOL. Tomorrow I probably will walk 1 km longer than usual to shed off muffin fat…. Today was great. Sunny and warm but I just stayed indoors the whole day. I spent some time planning for the rest of the year. Have a good evening, Sandy!!! Thanks Liz, am just about to try your recipe! Went for a walk on the beach yesterday looking for flattish stones and heart shaped stones and driftwood. It was blowing really cold so we didn’t linger too long! Did get a few rocks and bits of driftwood to make fairy doors! Kind of fun to do. Looking forward to seeing fairy doors. How exciting. I’m trying to catch up with messages. Have a great evening! Oh God to know. I wish you all the best in everything you do!